Brandon has been a light in everyone's lives. Many have said that he always had a smile on his face. If you could have a human representation of a teddy bear, it would be Brandon. He was always welcoming and kind, and his intentions were always kind. On Friday, April 6th, Brandon was riding in the back of his truck with some of his best friends during the early evening. He fell off the back while the truck was moving and hit his head. He was then airlifted to Sacred Heart in downtown Spokane. Within a couple hours, the waiting room near the ICU was packed with friends and family as he was fighting for his life. Brandon did not make it, but his presence will live on. He signed up to be an organ donor and his organs will be harvested in about three days. 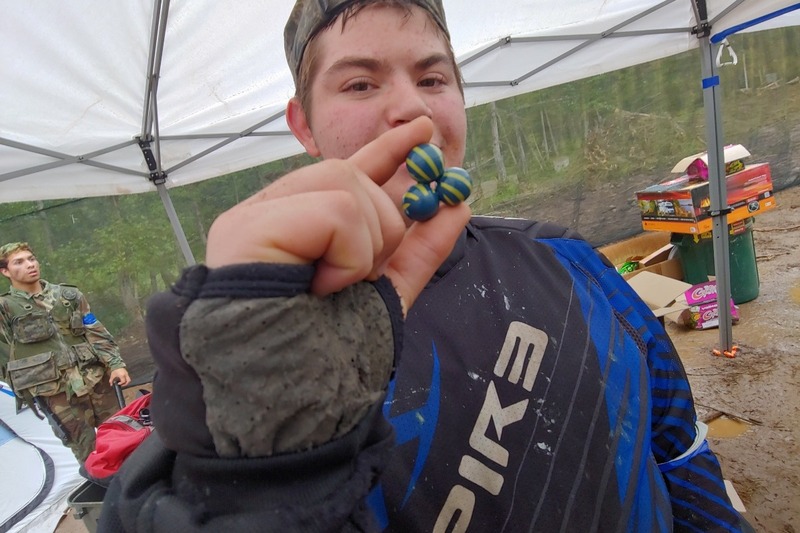 We would like to collect donations to have a memorial service at our airsoft and paintball field, where Brandon had been playing since he was five. He was known to sneak up behind people and shoot them in the back, and was heavily underestimated at first. We had planned on constructing a church at the field, and now we have decided that we will spread his ashes where we will put the foundation. With these donations, we will be able to cover outstanding medical bills, and the rest will go towards the memorial. Brandon will be remembered as a lover of various video games, a skilled paintballer, and someone that enjoys spreading kindness. Brandon had an extraordinary life and outstanding friends. He's traveled to do some of his favorite things, and has spent lots of quality time with friends. Thank you for your generous donations so far. Because Brandon was air lifted, Dale said it would cost at least $35,000. It seems insane to get just $1,000, but because of the air lift, his organs will be passed on to give others a chance to live their lives the way Brandon lived his. I truly cannot believe the support you guys are giving for this family. When Dale (Brandon's father) had told me it could cost as much as $35k, I had no idea if we would be able to reach it. Your donations have given the Burbridge family significantly less to worry about. I was not expecting KHQ to write anything about this, or even SuperGame to post about this. It's humbling to see the immense love and support there is for this family. Words make it so hard to express emotions. Everyone is truly at a loss of words. "Thank you" feels like it will never be enough. And there are so many people to thank. Nearing 3,000 shares on facebook, and 200 total donors. It feels ridiculous to have raised $15,000. It's overwhelming. I was also informed by a family member that Brandon's organs are to be harvested Wednesday, April 10th. It was planned for April 8th, but there is a possibility of a lung transplant, and I believe the doctors wanted the extra days to prepare for it. Part of Brandon will live on. He is giving the gift of life to others - allowing them to hopefully live it to their fullest. For the memorial, a date has not yet been planned as far as I know, but I'm sure the family is working out a day to gather everyone to celebrate this young man's life with food and a fun party. We will also be spreading his ashes on to the field. Lastly, I've received a couple messages about other ways to support this family, and I'm sure the family has, too. I can't speak on their behalf, but, there is a paintball game this weekend at our field, Nitehawk. It would be extremely moving if everyone just came out to play. Not to come out and pick up trash off the field or help ref, but to let go of our worries in the world and just play the sport that took Brandon to other parts of the country. Of course, if paintball isn't your thing, there is airsoft the following weekend. Just let all your worries and stress out on that field, and focus on nothing but playing. Focus on working with your friends and making new ones, and having fun. It would really be humbling, and a great tribute to celebrating his life. Truly, thank you everyone for the amazing tributes and memories of Brandon you have been sharing on facebook. Thank you everyone for your generous donations. It seems absurd to have gained so much money in such a short period of time. We aren't sure on what the total cost of everything will be, but this much money will certainly help with the bills. I cannot speak for the family - but I am sure they're very appreciative of your genorosity. I have a feeling that $1000 is going to be quite short of the final bill, so these extra donations are going to be extremely helpful. Thank you.